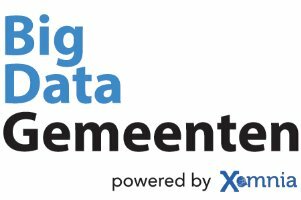 Knowledge partner Xomnia launched BigDataGemeenten as a platform to connect Dutch municipalities on our favorite topic: big data. Each quarter one of them hosts a session at an inspiring location. The goal of these events is that municipalities get connected, share insights, knowledge, and experience around challenges, pitfalls, failures, and successes in being data-driven. Want to know more, visit the BigDataGemeenten website. There are plenty of real life problems that have the potential to be solved by big data. 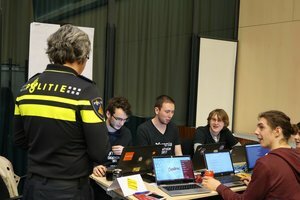 To boost innovation Xomnia each year organizes a challenge to raise awareness for such a problem and find potential solutions for it. This challenge is an invite only event for the next generation of Data Scientist and Big Data Engineers. 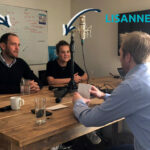 They cooperate in teams and get access to large amounts of data and domain experts. In a 24-hour lasting marathon, teams compete to each other in finding the best solution(s). It are creative, fun and challenging events with often surprising results. The team that uncovers the most interesting patterns, workable solution or best predictive model will win the experience. We named this the Xomnia Datathon. We have all heard of the self-driving car, but did you ever think about self-driving boats? Boating on the canals in Amsterdam for us to be sure, is a huge challenge. The canals are crowded, sailings skills are limited and there is just too much that grabs your attention.. Our big blue former lifeboat took a fair shot of bumps, and is full of scratches. With a team full of data scientists and big data engineers, we started to make jokes on replacing the captain by an A.I. to make it self-driving. Now these jokes are becoming reality. 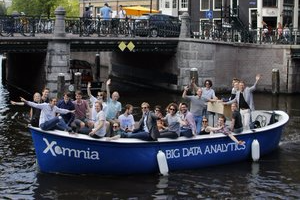 Xomnia is building a self-driving boat to be launched in the summer of 2017!